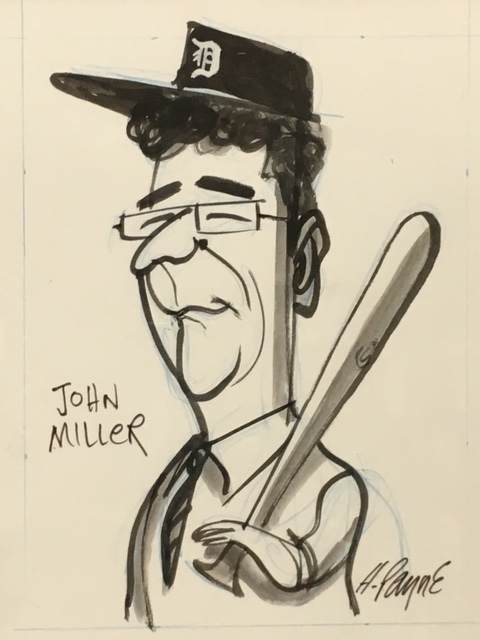 John J. Miller is the director of the Dow Journalism Program at Hillsdale College and writes for National Review, the Wall Street Journal, and other publications. 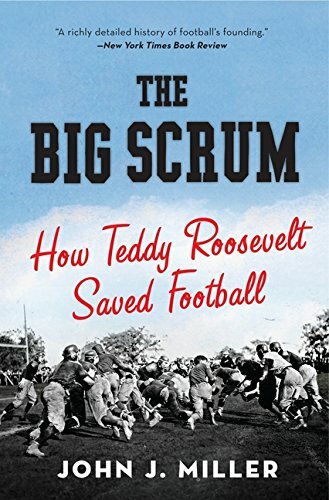 He is also author of the book, The Big Scrum, How Teddy Roosevelt Saved Football, which is the focus of our conversation in episode 106. I worked intimately with this book while writing papers at Rutgers & Georgetown. Many of the arguments made both for and against football in it's infancy are still relevant today. Many described last Monday night's football game between the Pittsburgh Steelers and Cincinnati Bengals as a brutal, violent and ugly game. I thought it was appropriate to post my interview with John where we discuss how the sport of football was saved by the 26th president of the United States, Theodore Roosevelt after the death of 18 football players in 1905. There was a similar reaction among university presidents and the American public. Some people at the time even described the sport as "evil." What can we learn from the past? Find out by listening to our conversation in this episode. The emergence and evolution of football after the civil war. Football's roots in rugby and soccer. The public's reaction to 18 people dying due to injuries sustained on the football field in 1905. Why historians will be talking about football's brutality and violence when looking back on our era. How football's problem with violence and brutality, ultimately led to a safer and more exciting game. Social and political movements like the progressive era fought to abolish football. Where the idea for the introduction of the forward pass came from. Why Roosevelt thought football was a positive social good that can turn boys into men. 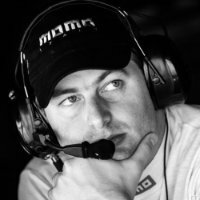 Why John referenced Malcolm Galdwell's Dogfighting article. Why there is no such thing as a risk free activity. John's reservations letting his kids play contact sports after writing the book. The evolution of football equipment. How long shaggy hair served as helmets before there were helmets. John's prediction of football's future. 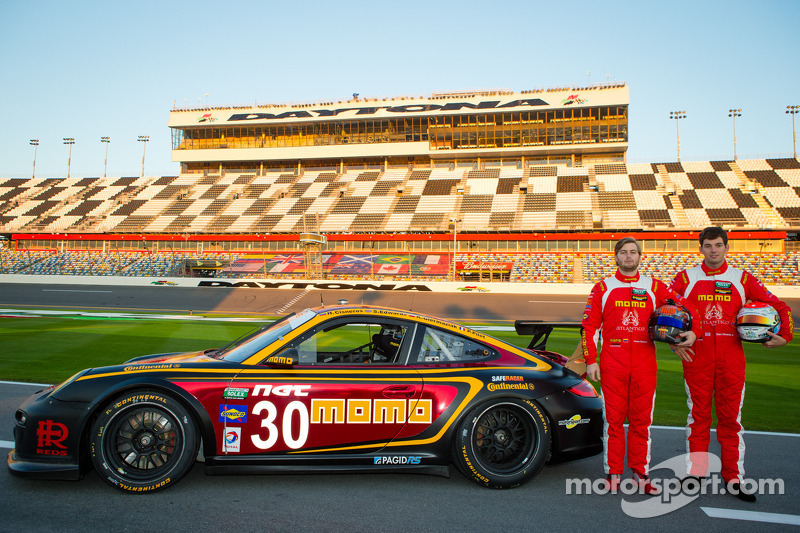 Why the benefits of sports often outweigh the risks. where can you get your own copy of The Big Scrum? WHERE CAN YOU FIND John J. Miller? I have been researching anything and everything that has to do with concussions since suffering my own career-ending head injury ten years ago. That being said, most of the "new" breakthroughs seen on the news are usually old news for me. I have heard of the association between neck strength and concussion risk though my research over the years. And while myself and all of the other athletes who attended West Morris Central High School were blessed to have an amazing strength and conditioning coach, I don't recall ever doing neck strengthening exercises. Therefore, I had very little personal knowledge about neck strength and its role in concussion prevention until talking with Mike Jolly (pictured above) and Robert Sherman (right) from Iron Neck. Neck training as a proactive measure to reduce concussion risk. The increased threat of rotational forces on the brain. The inspiration behind the creation of the first Iron Neck. The neck's role in dissipating forces to the head. The anatomy of neck muscles and how to achieve maximum contraction. Why Mike credits wrestling for staying healthy on the football field. Why helmets aren’t the answer to preventing concussions, especially in sports other than football. What Joey Batson, Head Strength and Conditioning coach at Clemson is doing to prevent concussions. Why females should be prioritizing neck strength. Evolution of neck strengthening (Below). Why neck range of motion + flexibility are also important. How strength and conditioning coaches are using the Iron Neck to save time and space. How the Iron Neck allows for transferability to the field and positional strength. Why the biggest impacts come from the ones you don’t see coming. In 2014, the Journal of Primary Prevention published a study that tracked 6700 high school athletes in boys' and girls' soccer, basketball, and lacrosse over a 2.5 year period. Researchers captured anthropometric measurements, concussion incidents and athletic exposure data and found "for every one pound increase in neck strength, odds of concussion decreased by 5%." 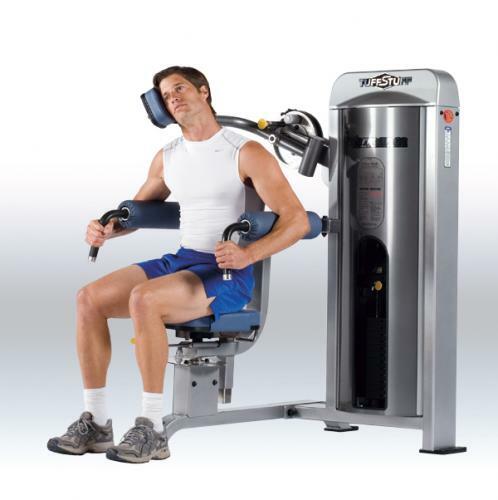 How Physical Therapists and Athletic Trainers are using the Iron Neck. Vestibular and vision training, text neck, postural. WHERE CAN YOU LEARN MORE ABOUT The Iron NEck? WHERE CAN YOU FIND Robert?